Berkshire Hills to Acquire SI Financial Group. Learn More Here. No longer is the level of service based on how much money you have. Experience the MyBanker difference! When you're saving toward a specific goal, it's nice to know you have support. Berkshire Bank's Statement Savings account is a convenient option that provides just that. Life is exciting. Let us help. Finding the right savings account goes a long way toward strengthening your finances. Berkshire Bank helps you get started. * Transfers from a savings account to another account or to third parties by reauthorized, automatic, online banking, telephone transfer, check, draft, or similar order to third parties are limited to six per monthly statement period. Concierge service from people who understand you. 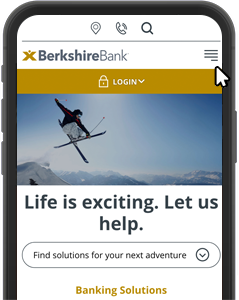 Take the quick route to your new Berkshire Bank account. 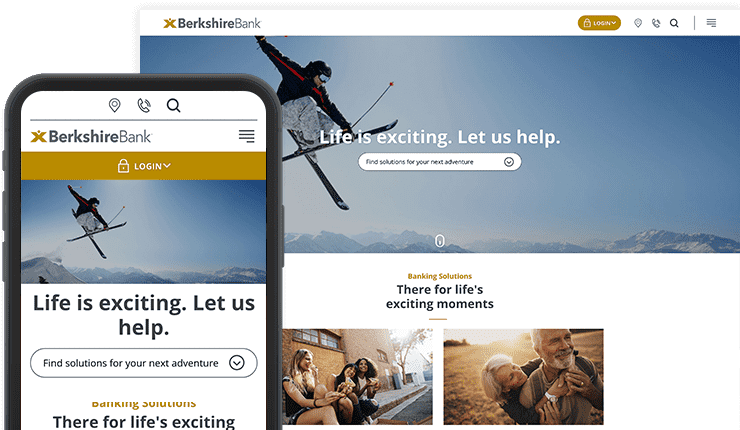 Berkshire Bank, in Massachusetts, Connecticut, Vermont, Pennsylvania, New York and New Jersey, offers banking solutions including checking accounts, savings accounts, mortgages, auto loans, insurance*, wealth management and more. 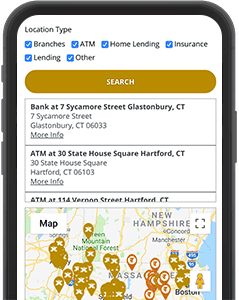 Bank online, with our mobile app, or visit one of our conveniently located branches. *Insurance products offered through Berkshire Insurance Group, a Berkshire Bank affiliate. Welcome to the Berkshire Bank Website! 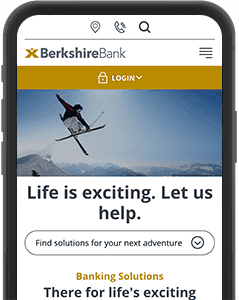 Explore new features and functionality that support your journey to financial success through all of life’s exciting moments. 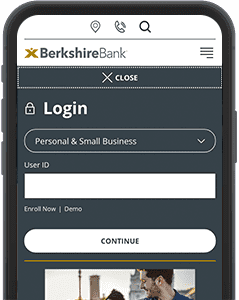 Find the login in the main menu to access Online Banking quickly and easily. 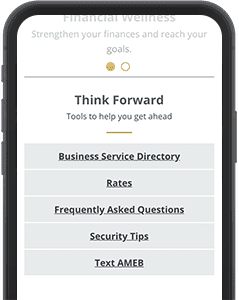 Access site pages using the mobile-inspired menu, making it simple to explore financial solutions from any device. Need the just-right solution? Find personalized recommendations for products, services and resources - all based on your specific financial goals. 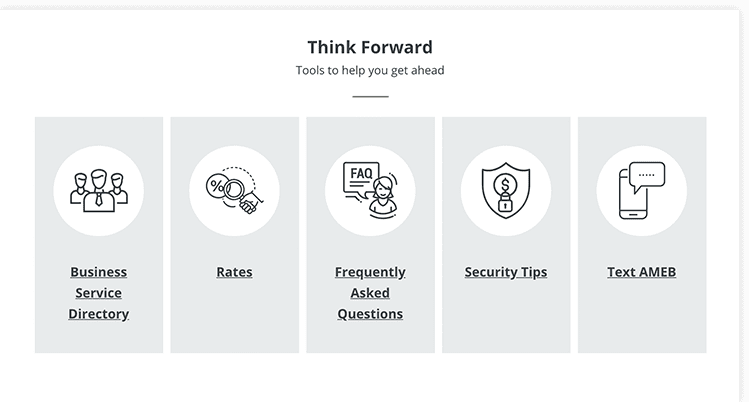 Better information leads to better decisions, and the valuable tools (rates, calculators, FAQs and more) are at your fingertips. 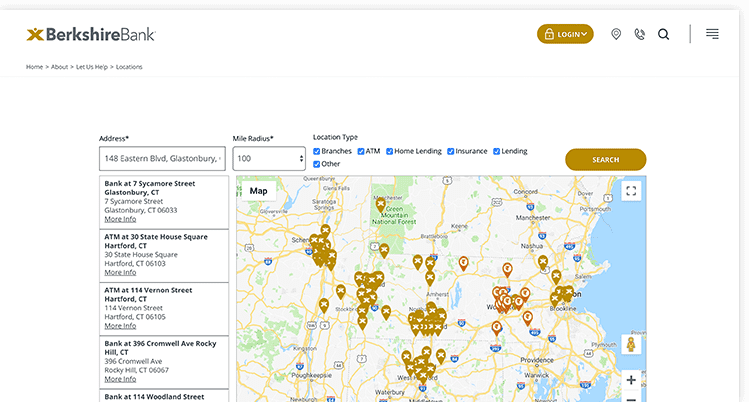 Find a nearby branch or an ATM quickly and easily with this helpful tool. Explore all the new features and functionality. Remember, you can access this tour anytime from the footer of our website. We make no representation as to the completeness or accuracy of information provided on Linked Sites. Nor are we liable for any direct or indirect technical or system issues or any consequences arising out of your access to or your use of third-party technologies, Linked Sites, or information or programs made available on or in connection with any Linked Sites. When you access a Linked Site, you assume total responsibility and risk for your access and use of such Linked Site. You can select Cancel now to return to our Website. Do not use email to send us confidential or sensitive information such as passwords, account numbers or social security numbers. If you need to provide this type of information, contact us by phone, fax or regular mail.